This fanciful top is a thing of joy, an instant favorite! It has our signature loose cowl, an easy crescent shape with split side points and a perfect pocket that adds useful style. 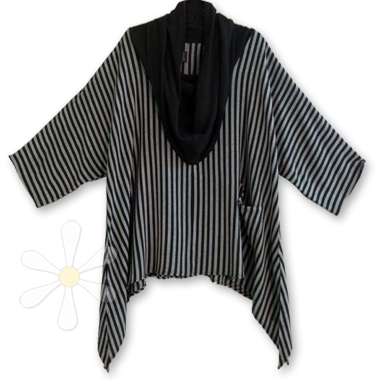 Casual with all kinds of gypsy chic -- the best of all things in Moroccan cotton! For full details and measurements see the regular KSARI page.